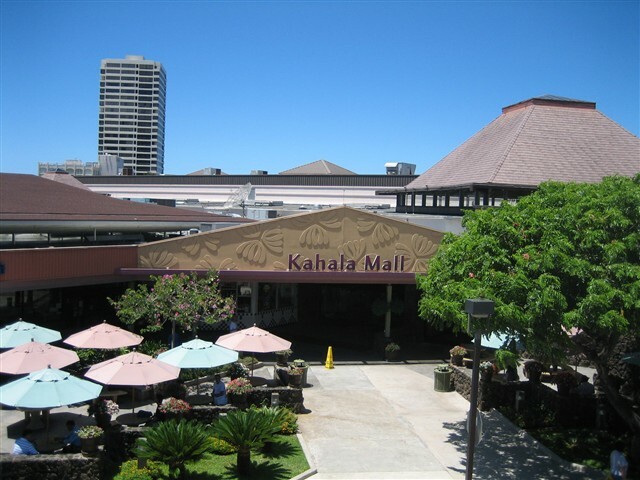 Located next to the eastern terminus of Oahu’s H1 freeway and nestled close to the base of Diamond Head Crater, Kahala Mall is one of three suburban, enclosed malls on Hawaii’s most populous island. 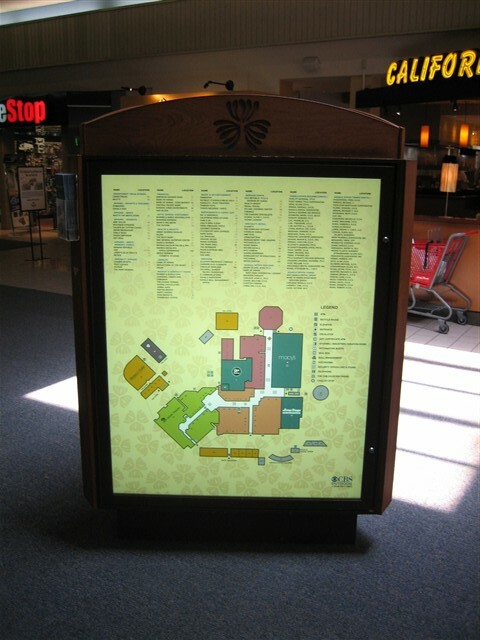 The mall is a two-level footprint in an ‘L’ shape, anchored by Macy’s, Star Markets, and Long’s Drugs. There is also a large movie theatre, the Kahala Theatres. The demographics surrounding the mall are decidedly upscale, and the mall mimics these trends with stores such as Banana Republic, Ann Taylor, Godiva, The Body Shop, and 90 other shops, services, and restaurants. Dining establishments include California Pizza Kitchen, Carl’s Jr, Chili, Pizza Hut, L&L Drive Inn, and several more counter service food-court style establishments. Outside the mall, a two-level parking deck surrounds the mall on several sides. On the second level of the parking deck are more shops and services, including a Barnes and Noble. 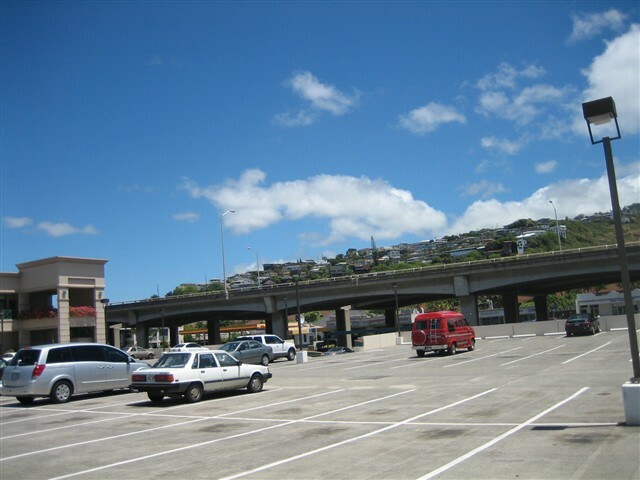 Behind the mall are the Kahala Office Tower and Kahala Office Building, with dozens of professionals including doctors, dentists, and financial services. 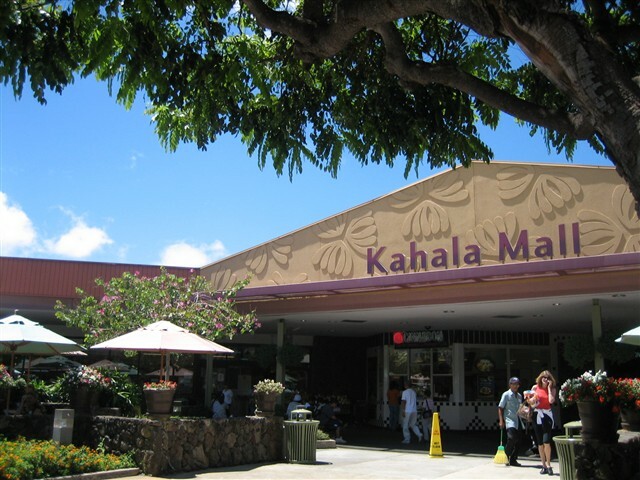 The outside decor of Kahala Mall is fairly modern with a tropical twist. The colors on the outside of the mall are vibrant: the purple letters of the mall rise above the mall’s entrance with a brown stucco floral wall behind them. 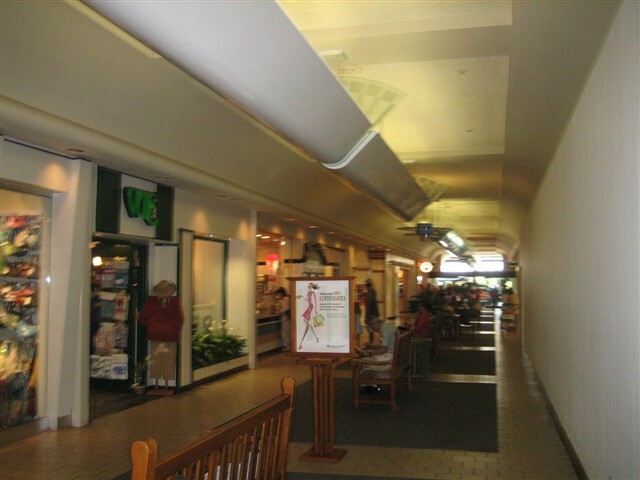 The inside portions of the mall are carpeted in portions with a sturdy gray commercial carpet; the remaining floor is covered in cream-colored tile. 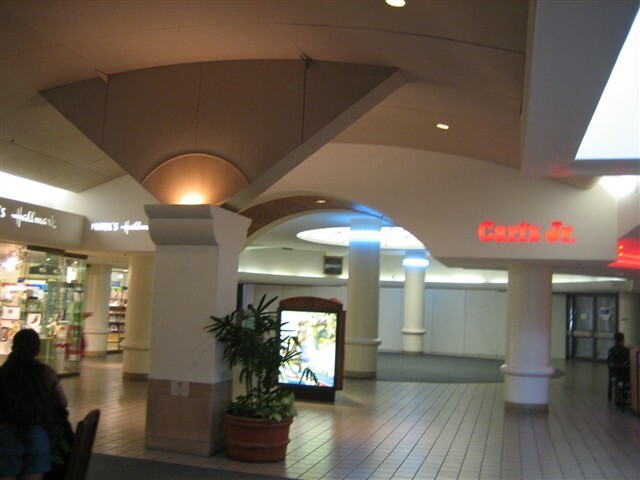 There are several skylights in the mall; however, the mall seemed a bit dark inside in places. The seating areas, planters, and some storefronts suggest the age of the mall, and it is not new. 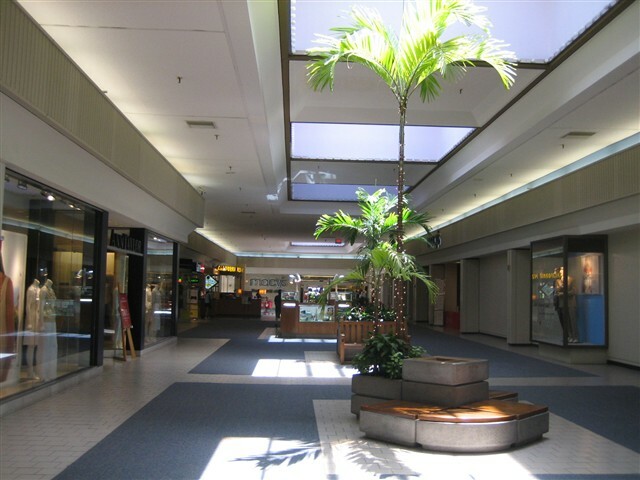 However, all areas of Kahala Mall were busy and the vacancy rate was low. This mall is definitely successful. According to the mall’s website, there’s even free Wi-Fi in center court for the astute traveller on the go. I didn’t use it on my recent visit, but it’s always nice to know I can get connected in one of my favorite venues: a mall. All photos were taken by me in June, 2006. I remember Orange Julius being a highlight and See’s Candies, which was is a separate small building alongside the mall. I shopped at an upscale children’s store there a few times. I first ate at California Pizza Kitchen here. I think there was a crepe restaurant at one time. And there was a place known for pies next to this mall. Is Tower Records still on the second level – Kona side ? I guess Barnes and Noble is new. Not my favorite place to shop, but an interesting day trip from the Windward side. @amethyst, I believe I ate at that resturaunt with my husband and my sister and dad, when I got married in Hawaii…. Charles 916.799.1718 aka. Chaz…. Let us not forget Mr. Jack Lord of “Hawaii Five-O” fame. Mr. Hawai’i, we miss you! 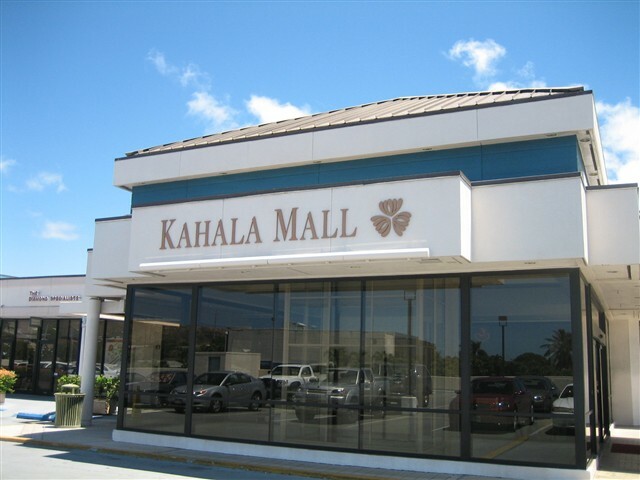 Who built the kahala mall ? I got busted in this mall for pic taking despite that there was no rule for it. mall security accused me of taking pics of their cameras and followed me around. I went into a store for a few minutes look around and they accused me of loitering and kicked me out and said I am trespassed there for the day and the mall was one hour away from closing. WTF? I then just told them I am in a hurry to get to my motel and was ready to leave and when I Got to my car they checked my ID. why did 3 or 4 of them follow me?